Automate and expand output to meet the most demanding customer requirements. In the “Age of the Customer”, organizations of all types are under constant pressure to anticipate the needs of their customers and respond to them immediately and flawlessly. In order to meet these unprecedented levels of customer expectations, many enterprises rely on print service providers to manage and fulfill their customer-facing, mission critical communications via all channels. Crawford Technologies is a proven partner to hundreds of print service providers worldwide, providing reliable, high-performance omnichannel output, archive, ECM, and accessibility solutions that allow them to delight their customers, improve efficiency, reduce costs and meet their SLAs. Whether the challenge is to provide accessible content, transform formatted print streams, re-engineer document workflows to leverage new technologies, or to enable complete visibility, command and control over end-to-end processes, print service providers trust CrawfordTech solutions and services to deliver. Optimize production, migrate workflows and reduce costs - while giving your customers more. Develop automated workflows with CrawfordTech solutions and existing solutions and systems. Post composition document reengineering to meet today's output requirements. As most print service providers know, not all PDF files are created equal. Despite being based on an ISO standard, many “print ready” PDF files are poorly formed, and can take too long to process, hurting profitability and risking customer SLA’s. This customer used CrawfordTech technology to normalize and optimize their incoming PDF files, integrated with their existing system to create an automated end-to-end workflow. The result was a remarkable 2000% increase in throughput. Our customers that provide print and mailing services talk about how Crawford Technologies' solutions have helped them automate their workflows, offer their customers more, and increase their profits. 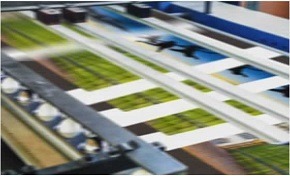 For over 20 years Crawford Technologies has been serving Print and Mailing Services Providers. Our solutions can be easily customized and integrated to meet the unique needs of this market.